While it might be difficult to clean a carpet on your own, you might not find it worthwhile to purchase a new one each year because the old one has stains or dirt you cannot get rid of. A good idea would be hiring a professional carpet cleaning service provider who is capable of handling the task effectively. Below are some guidelines you might need whenever you need to hire a carpet cleaning service in Singapore. If you have not hired a carpet cleaning service before or you are new to Singapore and have not yet familiarized with the best providers, it would be easier and convenient to consider recommendations from trusted friends. Ask them to pinpoint a company which is capable of providing quality services at an affordable price. This will give you a head start on what to do next. You can start researching into the best companies by reading reviews from previous companies or calling contact references if any are provided. This is just another way of saying that you need to know what tools and chemicals the company will use to clean your carpet. Are they effective and do they have any damage to the fabric. In some cases, a homeowner might prefer eco-friendly chemicals if they are environmental enthusiasts. It is important to check whether a company has the required licensing needed to run operations in Singapore. Besides being proof of competence, you do not want to hire a company which runs illegally and end up in undesirable situations. An insured company ensures peace of mind should an accident occur during the cleaning process. Experience is one of the factors you should never overlook whenever you need to hire a service provider. A company which has been in the business for a long period of time is good at what it does and capable of troubleshooting common problems should any occur. A company which is dedicated to serving its clients is obviously better than one which neglects them. Before hiring a carpet cleaning service provider in Singapore, check to see if their customer care support desk is responsive. The time it takes for them to complete the task is important too. How well the staff behaved? Staff might be exceptionally skillful in cleaning but that does not make it pass the professionalism test. A good company should employ polite staff which does not spy on your house or pick things from it when working. Again, reviews from previous customers will help you decide if you want a particular company in your home or not. Although most people tend to prioritize price, this should be the last thing you look at. You want affordable services but a company should not necessarily compromise on quality just because they clean your carpet at the cheapest rate. Consider a service provider with ideal charges for what they offer. Carpets are one of the most integral home décor items. It is decoratively versatile and an important element in interior decoration. Besides adding an aesthetic appeal to your homes it also has great functional value especially during the cold winter months. Yes, it is both a comfort and fashion choice of every home. It is highly inevitable that carpets have to cleaned and maintained on a routine basis to ensure a healthy and hygienic environment at home. 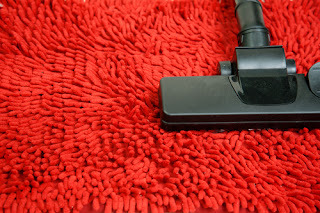 Carpets are expensive investments and hence regular vacuuming and annual deep cleaning is essential to maintain it. Carpets used in homes and offices are susceptible to dirt and grime over a period of time. Dirty and soiled carpets pose serious health hazards in the form of bacteria, mites and germs. 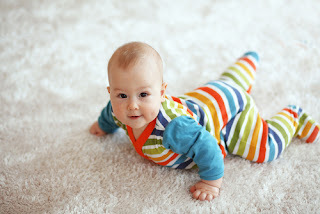 Carpets need to cleaned regularly to prevent the buildup of grime and dirt. Carpet cleaning is important to remove the accumulated soil, dust and allergens from the carpet. It also assures utmost durability by extending the life of your carpet. By removing the dust and soil particles from the carpet it serves as an indoor air filter and improves the indoor air quality of your homes. To ensure best results and to restore carpets to former glory it is essential that you hire the services of a professional carpet cleaner. In spite of regular vacuuming if your carpets look dull then it is a clear indication that it should be deep cleaned. Hiring an experienced professional is the best way to do it in the safest, fastest and easiest way. Moreover removing the fussy dirt and dust it quite an intimidating and daunting task. Professional carpet cleaners implement special technology to get it cleaned with perfection in minutes. Stains are also hard to remove. Carpet cleaners are skilled technicians who get rid of the stains effectively by incorporating various non-toxic solutions and organic products. They implement the use of latest products which do not pollute the environment. They are also adept in using the latest equipment with powerful vacuum pickup and assure a perfect carpet cleaning experience. To maintain your carpets beauty and life make sure that they are professionally cleaned. 1. Regular carpet cleaning is the best way to maintain your carpets in a perfect condition. 2. Cleaner carpets ensure a cleaner home by minimizing the amount of allergens and harmful particles in your home. 3. Carpets serve as huge filters. Regular carpet cleaning assures a healthier carpet by getting rid of hardened dirt, dust mites and other microscopic contaminants. 4. It sanitizes and removes foul odors to make them smell fresher and cleaner. 5. The main purpose of carpet cleaning is to prolong the lifespan and appearance of your carpets and finally save on your money too. Regular and systematic carpet cleaning is essential for a healthy living environment. Carpet cleaning is necessary not only for their aesthetic appearance but also to maintain perfect health and hygiene. Clean carpets ensure clean homes.